Oh My Haul! | Primark/H&M – The Beauty Spot. Some of you may have realised by now, after the last few posts, that I’m a pretty big Primark fan! 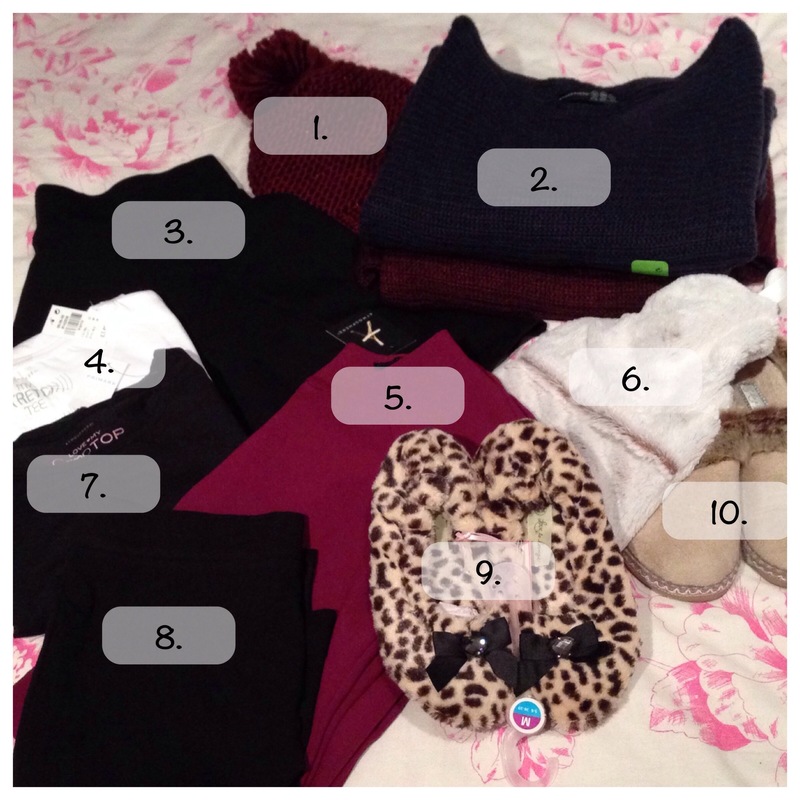 So I welcome you to my first haul post to feature Primark! At the weekend I realised I just didn’t have enough jumpers to get me through the winter. So I trudged on in to my local Primark, and it well and truly delivered, and more! So here is my loot! 1. Knitted bobble hat I already have a scarf in this colour and really wanted a hat to match for walking to and from the train station on my commute. 2. Deep red and navy blue chunky knit jumpers What I originally went into Primark for. I bought these in sizes 12 and 14 (I’m usually a 10) so that I could snuggle in them at home or layer them up for nights at the German market during December! 3. Black skater skirt From H&M, a plain black skater skirt. Something I’d really like to wear for a daytime look. I always head for jeans so this would be a welcome change. 4. Plain white tee boring addition but purchased at the same time, plain white T-shirts for work. 5. Magenta shift dress I have tried this on already and really like it! I can dress this up or use it as a more casual day dress. I think I’ll get quite a lot of wear out of this! 6. Furry hot water bottle purchased as part of a secret Santa, but I really want one now! 7. Black long sleeve crop top not sure I really have the tummy for this at the moment (sits eating cookies…), but I thought it could look good with some high waisted black trousers and heels for a night out. 8. Black mini skirt also from H&M. Another plain skirt to add to my daytime outfit options. This will be great in the summer too though just with a loose vest top and Havianas – easy! 9. Leopard print slippers part two of the secret Santa. 10. Ugg-style slippers MY NEW SLIPPERS! I have lived in these since Sunday, and I’m pretty sure they will stay permanently on my feet until March! Unless stated, everything was purchased from Primark. I’m really pleased with this little lot, I won’t be taking any of it back! Hurrah! For me that’s quite a result, I think I have a permanent purchase/return situation going on as I usually just pick stuff up and try it on at home and decide what to keep. What Primark gems have you picked up this season? Would love to hear about your favourite purchases!